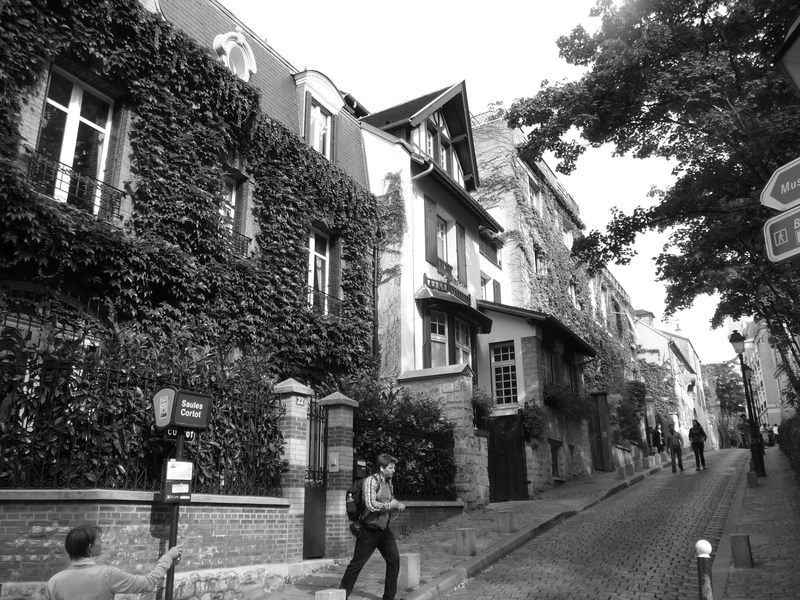 We went for a guided tour of Montmartre, a cool neighborhood in the northern part of Paris (the 18th), with a ton of history. 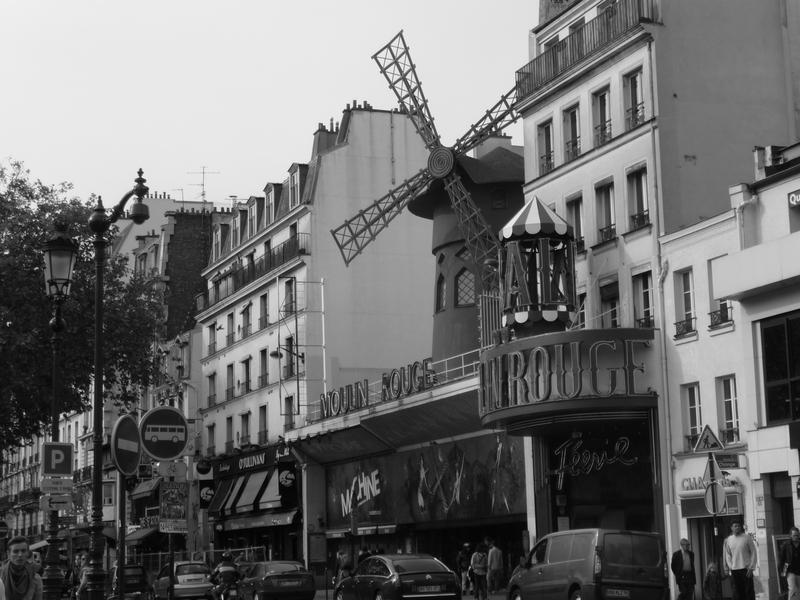 Renoir, Picasso and more had their ateliers (workshops) there, Moulin Rouge is there, the Sacre Coeur is there, and there is a vibrant amount of street performers and artists. Its a nearly seamless blend of beautiful city on the highest hill in Paris (of 4), an interesting past, and huge tourist trap. Unfortunately, people don't just play beautiful violin in the street for solely love of music. There's also a lot of pickpockets. Fortunately, I've continue to keep all of my belongings to myself. 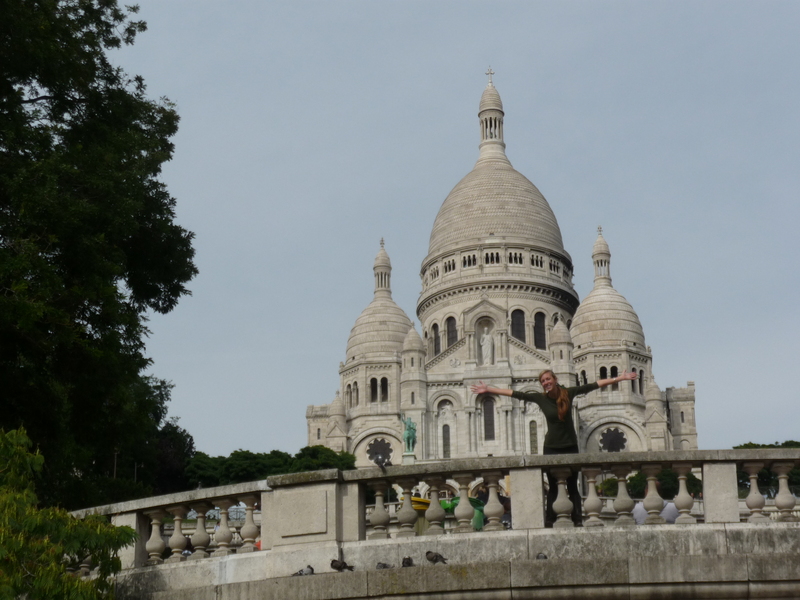 It was pretty incredible seeing the Sacre Coeur and also the smaller Montmartre parish. I saw a lot of churches and cathedrals during my first trip to Europe seven years ago and grew tired of them, but with my Art History goggles, I have a whole new appreciation for them. From the sheer awe at the size and ability to hold themselves up, to the the countless different engineering feats, they are a true feat of human creativity and building. My favorite part is that a cathedral is really a huge mixed media piece, there is the structure itself, the stained glass, marble columns, statues of many saints, paintings and more. It is truly fascinating. Expect a more in-depth cathedral post at some point. That night, I got the best surprise of my time when I found out that a girl from my program was looking for someone to see Macklemore with that night. Macklemore is a hip-hop artist from Seattle whose music I love, and it was a great show. The French audience may or may not have understood the words, but it didn't damper their enthusiasm. Music can bring people together, and being packed in a small theatre united by energy and love for music made for a fun night. The luck continued, as we got to hang out with the group afterwords. Over a beer, the trumpet player and "definition of swag" Owuor and I had a great talk about the correlation between life and art, about living proactively versus passively or reactionary and about traveling. For a moment I was a little bummed, because I can't have the sort of conversation in French. But, as a proactive liver, I found the better angle easily and became motivated to parler le francais courrament, speak French fluently so I can have those sorts of conversations in French as well. Another note about French. Learning French, or any foreign language for that matter is the cure to young American's reliance on the work "like." For those of you who have had the fortune to not encounter this, it is a word that fills the void when someone can't express easily what they I trying to say. An example: "I went to Paris like, to study abroad, like so I can like learn French and like, some other things like that." It is absurd. Some girl in my French class had the gall to say it while speaking French and the teacher was not having it, which brought the issue to my mind. On a larger note, learning another language really makes you think more deeply about what you want to say and how you will say it. It is a nice change from the impulsive banter I'm used to in English.